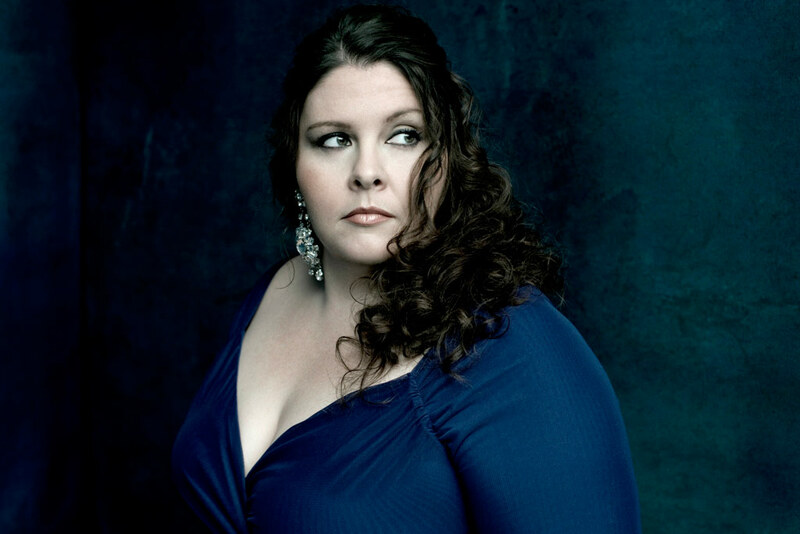 American soprano Angela Meade is almost finished a run of Don Giovanni at the Metropolitan Opera, singing Donna Anna opposite Matthew Polenzani as Don Ottavio, and with maestro Plácido Domingo at the podium. This summer, Meade is an Artist-in-Residence at the 2017 Caramoor Festival, and she singe Imogene in Bellini’s Il pirata for Bel canto at Caramoor. We spoke with the soprano about the feeling of great singing, about complicated women like Donna Anna, and her passion for “beautifully made things”. Because I love the feeling. I love being able to express myself through music. I think it brings much needed beauty of soul to the world that is sometimes lacking it. What does it feel like to sing, when all is going well? Like flying. Your body is alive and you are using your breath to sustain these emotions. It’s a really hard thing to describe. In your history with the role of Donna Anna in Don Giovanni, why do you think she is a character whose actions are so disputed among opera fans? I think it is hard for 20th- and 21st-century audiences to grasp the severity and implications of losing one’s father and one’s honor in relation to her place in society, because for the most part we no longer have class delineations, and women are free to chose whomever they want to marry; being a virgin and staying a virgin is also no longer an issue. She is a noble woman and betrothed to a noble man. It’s possible her entire life would be in shambles if both her father were killed and also her honor lost; Ottavio could leave her for not being “pure” by societal standards anymore. She would lose all her status and all her wealth if the engagement were to break up. I think she actually was raped by Giovanni and she tries to hide it from Ottavio for her own sake, focusing more on the murder of her father. Are there any roles with which you’ve found a particularly strong connection or understanding? I feel like I understand Donna Anna quite a lot. I think she is a strong character who believes in equality, whether man or woman. She is smart but caught in the terrible politics of the era. I also feel like I’ve always connected with Norma’s character. She, like Donna Anna, is a strong woman, caught in the politics of her situation. Even though she is the one in charge of the Druids, she is still expected to maintain decorum regarding her sexual life and especially with those in the enemy camp. She is a bit impulsive and falls in love deeply and quickly, and so when she is burned by Pollione the flames of betrayal, hurt, pain and desperation engulf her. She has given everything to him and in the process could have lost everything, but she was willing to do it; and like so many men, even now, Pollione got what he wanted and left. Angela Meade, soprano. Photo by Dario Acosta. How crazy the schedule can be sometimes and how intense it can be at times, trying to juggle real life. If you didn’t sing for a living, what do you think you would do instead? I’m not really sure how to answer that question. I contemplate it sometimes and can hardly ever come up with an answer. I have always loved evening gowns and have a passion for beautifully made things, so maybe a wedding dress/evening gown designer. Definitely something artistic though.